Have you ever seen the huge 5MB storage device that's been circulating around Facebook? It's so big, there must have been more than 20 people pushing it inside a building. But nowadays, everything is so compact that we can have reliable devices for our everyday lives. 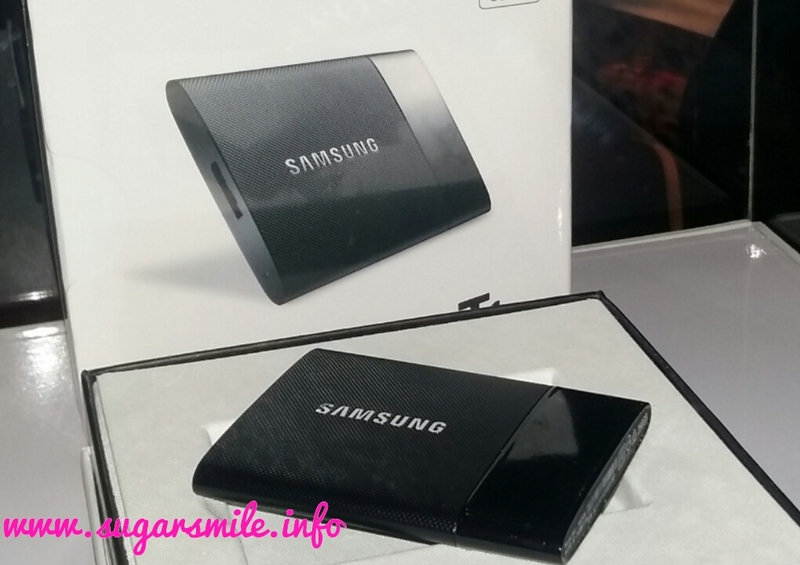 One of them is the Samsung Portable Solid State Drive T1 - where is promises Fast, Safe and Stylish features. Nowadays, the weather is just so fickle minded. One minute it's so hot, the other minute, we can't even go out of our house. But no matter what the season brings, we need to take care of our skin all year round, to make sure it's radiant, healthy and gowing. Summer may be over, but Starbucks introduces two newest Frappuccino Blended Beverages and Starbucks Cards this July 28 to cool you down. 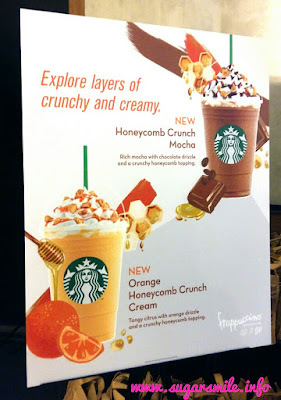 With flavors to spark your next adventure - the Honeycomb Crunch Mocha Frappuccino Blended Beverage and Orange Honeycomb Crunch Cream Frappuccino Blended Beverage. 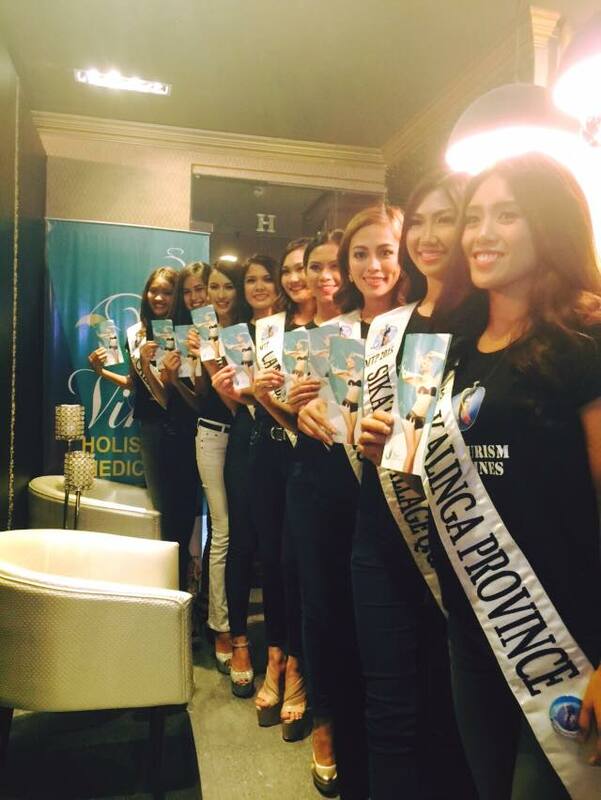 All roads lead on July 30, 2015 as the Grand Coronation Night for the Ms. Tourism Philippines 2015 takes center stage at Solaire Resort and Casino. Sharing in the advocacy of promoting “Beauty Tourism”, Ms. Tourism Philippines 2015 partners with Vine Holistic Medical Aesthetics as the pageant’s Official Beauty Provider. 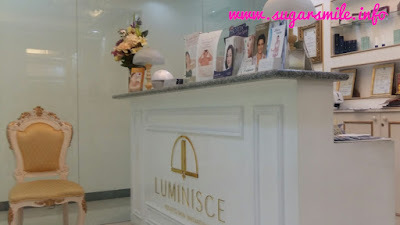 I've heard all good praises with Luminisce from my blogger friends that I finally tried going last holiday weekend. Lately, I've been so stressed out and I feel as if my skin is so dull, I needed to do something about it. My Friday was so productive, it was a weekend well spent. Comfort zone - that's how I could describe Classic Savory when it comes to my family. So many years back, their Escolta branch is our go-to when we need to dine, especially when we have visitors coming over. It is also the reception when my baby brother was Christened. So many memories, and a number of timeless dishes - that's how Classic Savory is to me. Whenever I hear about OLX, this phrase always come to mind. It's so catchy, that I always tell my friends to sell their stuff at their site because I never hear about bad things on that site. 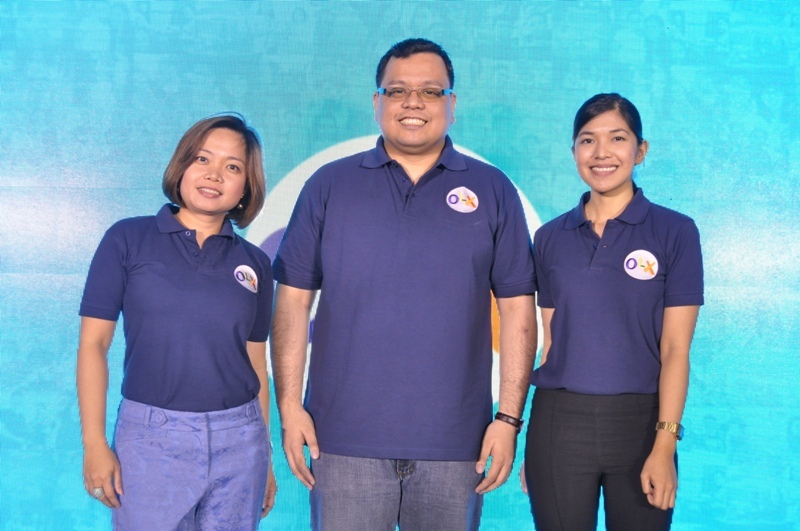 And one year after their rebranding, OLX Philippines, the country’s leading buy and sell platform, announced that they are now focusing on leveling the online classified ads landscape to provide users with equal buying and selling opportunities. 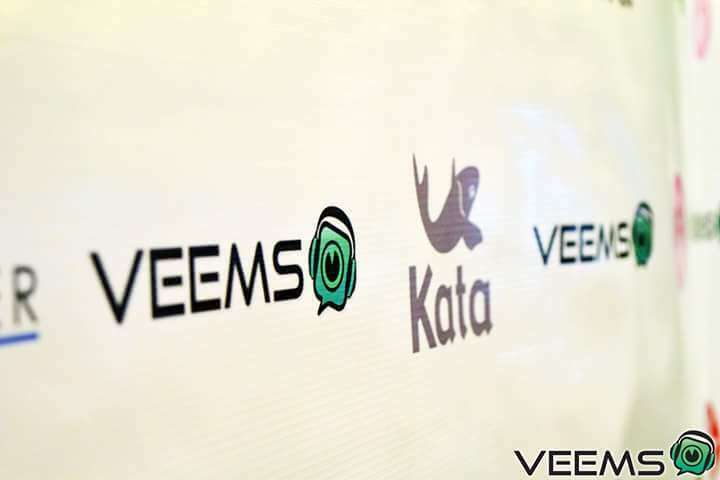 Are you on Veems? If you are also a blogger like me, then you should be, asap! Last June 25, Veems officially launched its new feature, VeemsCast, in Z Hostel, Makati. This broadcasting tool would help us bloggers get the word out to the right audience and increase engagement. And unlike many brand pages or social media channels, VeemsCast provides high engagement between the blogger through private chats and clear call-to-action buttons. 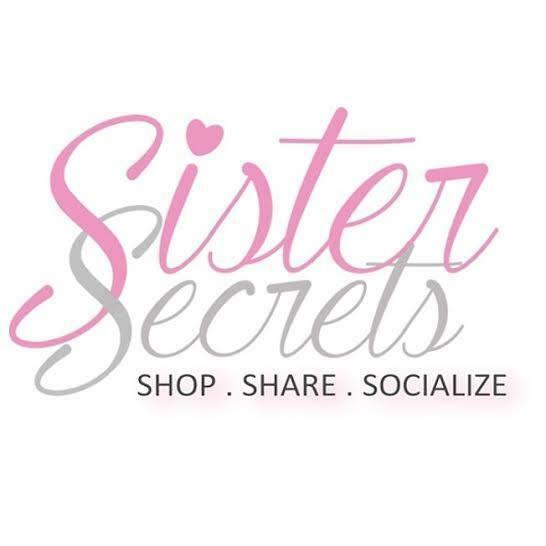 Did you sign up to SisterSecrets yet? Thus Local beauty and fashion site ups their e-commerce game by accepting Bitcoin payment. SisterSecrets.com.ph, an active community of online shoppers exchanging beauty and fashion secrets, has teamed up with experts from the IT field and the BPO industry to improve the shopping and payment experience of all its members. While most men may not be conscious of their looks, they do strive for good health and wellness, especially as they get older. Aside from keeping a regular fitness routine and following a healthy diet, the use of supplements keeps their energy and stamina at an optimum as they go through the demands of the day. Warning: This post has too much feels. Months ago, I promised myself that this blog is all about happy times, happy things. But I guess this one's going to be a super kick and totally different from my previous posts. I am super in love with Magic's Rude. I remember him singing this song. I remember him telling me, "Marry that girl, marry her anyway". I've always believed that this person can really make do with his promises to me. Because, hey, my dreams are just so simple. I only needed someone who would love me for the rest of my life. Someone I could wander off, even to the space with. It doesn't matter if I'd be in Pluto, just as long as I'm with this guy. But I guess now that's finally over. So why do you play with my heart, why do do do you? When you know that I see right through through through you? I have played a lot of songs. And I stumbled with Magic! 's Stupid Me. Now I'm not so sure who went stupid this time. But you know, this blog was named Sugarsmile for a reason, and I'm going to continue to be happy. I'm going to continue to find my happiest ending. And maybe this time, I won't be so stupid to break my heart again. But that has to happen. Eventually. So now, I'd continue wearing my heart on my sleeve, thank you very much. How does it feel to serve the freshest ingredients for your home? Now on its 2nd year, retail giant Robinsons Supermarket celebrates Freshtival at Robinsons Supermarket Galleria. Its month long festivity entitle shoppers with exciting offers everyday. With each day of the week dedicated to a particular section, they now have Meaty Mondays, Poultry Galore Tuesdays, Fresh Pick Wednesdays, Deli Delight Thursdays, Fresh Dairy Fridays, Oven Fresh Saturdays and Seafood Sunday Specials. How cool is it that you can get buy 1 take 1 offers, price-offs and freebies? Learning to bake "Back To School" treats! For many years now, I have tagged myself as a foodie. I would eat bread, pizza and cakes, but I never really appreciated how they are made. 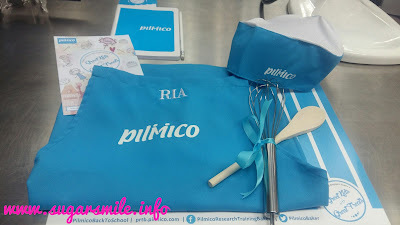 But last June 26, Aboitiz food subsidiary, Pilmico, taught us the importance of benefits of healthy and tasty treats for kids by holding a "Back to School " program, at the Pilmico Research and Training Bakery in Parañaque Metro Manila. That day, I made bread. From scratch. How cool is that? Can you recall the first time you learned how to cook? When my Lola Merced was still alive, cooking home made meals are very complicated and time consuming. 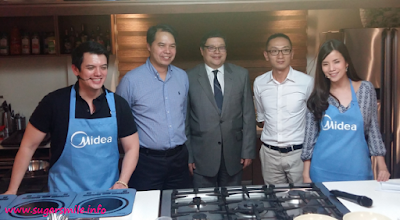 Presently, world class brand Midea brings a new twist to your kitchen appliances with its line of microwave ovens, induction cookers, digital multi-cookers and electric kettles. And for individuals who are so busy with everything, these appliances will make your life easier and more time efficient. Two weeks ago, my friends asked me to watch The Breakup Playlist, as this was a timely movie for most of us. It was really a heartwarming story and I picked up some really nice quotes about moving on and finally letting go. It's hard to part with someone you love, but if you continue to live with the past, it will either haunt you or eat up all your happiness inside. After the movie, I had to buy the soundtrack, because music has always helped me in expressing how I feel. 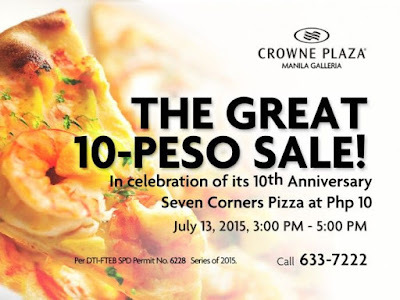 Crowne Plaza Celebrates 10th Year with Great P10 Sale! Did you know that your Php10.00 can take you on a real treat? Starting July 13, discover how delicious P10.00 can be with Crowne Plaza Manila Galleria’s Great 10-Peso Sale! As their 10th year celebration, Crowne Plaza presents their bestsellers available for only Php10! 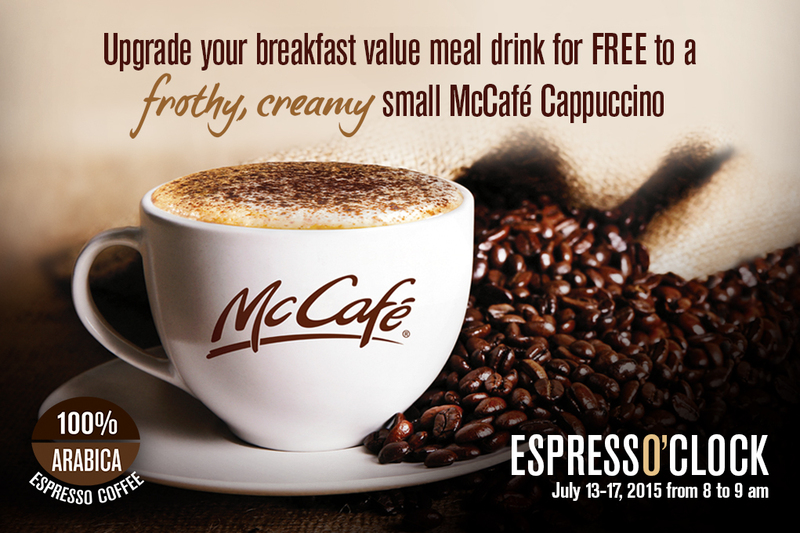 Due to the hustle and bustle that awaits them each day, Filipinos like to kick-off their day with a cup of coffee. 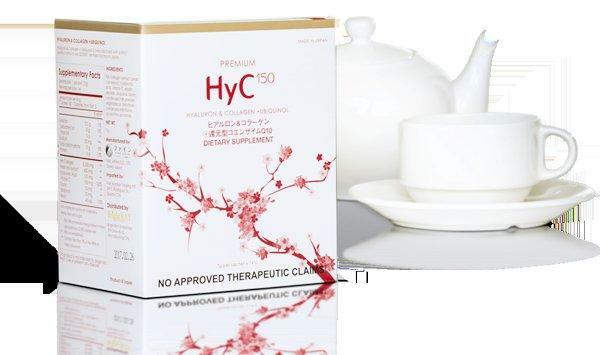 This keeps them ready, energized, and hopeful for a day filled with endless possibilities and opportunities. When it comes to one’s cup of Joe, flavorful and affordable make up the characteristics of the perfect blend that would give Pinoys that extra boost. Good news, Grabbers! GrabCar is now the first and only private hire service fully accredited by Land Transportation Franchising & Regulatory Board. I have been using the app GrabTaxi for a while now and its good to know that they are now fully accredited as a Transportation Network Company (TNC) by the Land Transportation Franchising & Regulatory Board (LTFRB). SPA FINDER PH is designed to locate spas and home service massage near you preferred city or nearby your location via GPS. You can then check their facilities, amenities, services offered, pricing, and more. This app is actually great because you don't have to search for this on the Internet. 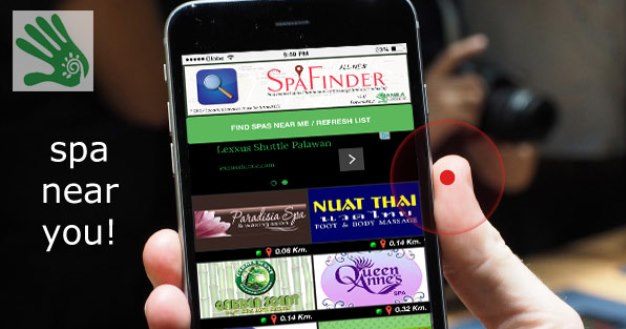 Once you have found your preferred place, you can contact them directly for reservations via phonecall or even SMS. Few years ago, I discovered that I have PCOS. There was a time that I don't feel so confident about my body and my OB GYNE told me that I should lose weight, and fast. At this age, there are a lot of standards in a woman's body type, and SM Woman champions a body-positive cause by providing the most diverse range of the ultimate fashion staple. Only if hard drives were available when I was in college, WD would be the perfect back to school gift for me. I remember having to use floppy discs when saving a Photoshop file and then putting it inside a plastic case to protect it. Good thing there are hard drives now, and it makes your child's school life easy and convenient. Now, let WD guide you on the best hard drives to avail. Coming in three colors, My Passport Ultra is the perfect teen portable hard drive. Because it has striking colors, they are pegged as innovative and stylish for the younger generation. It is password protected and has 256-bit hardware encryption that ensures the security of every photo, video, music and important file you save. To celebrate the 10th anniversary of My Passport, My Passport Ultra Anniversary Edition is only available for a limited time and exclusive in all Silicon Valley branches nationwide. 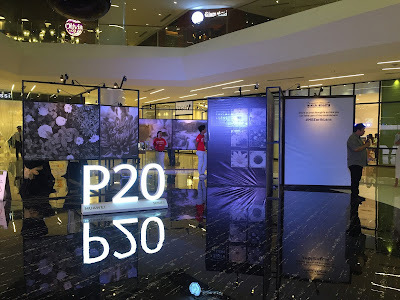 It retails Php 4,590 for 1TB and Php 7,490 for 2TB. For the on-the-go teens, and if you and your friends are selfie addicts and love taking pictures and videos, then the My Passport Wireless could be a great gift for either one of you. My Passport Wireless allows you to wirelessly back up all your smartphone photos onto the portable hard disk drive. Now you don't have to worry having insufficient space on your phone, right? 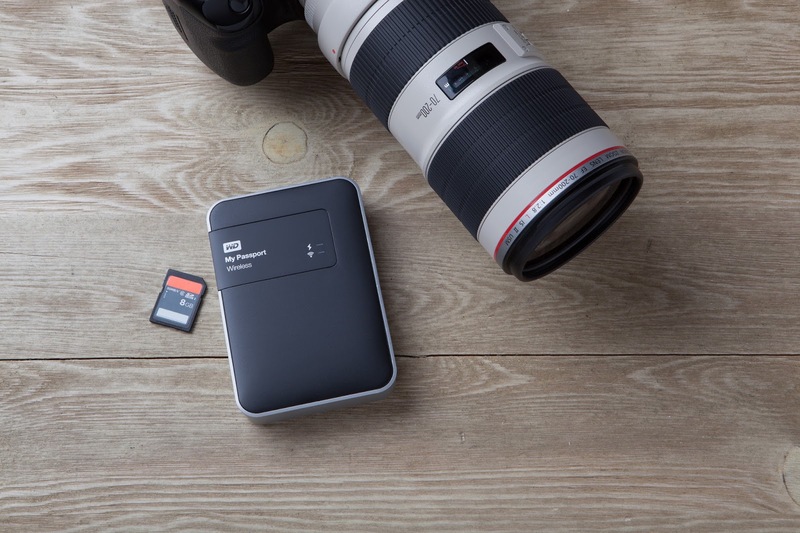 In addition, a built-in SD card slot allows you to transfer photos directly from SD cards in your camera, right into the My Passport Wireless. You won’t need a laptop to store your photos, and free up space on your camera anymore! The Passport Wireless is available at Php 9,590 for 1T and Php 11,990 for 2TB. For a larger space, say, you need a drive where you can put photos, books, documents and other large sized projects, then the My Book Duo is the excellent choice. You also do not need to wait long for your files to be transferred as it has transfer speeds up to 290 MB/s. My Book Duo boasts the ability to transfer a full-HD movie in just under 20 seconds. Amazing! My Book Duo also features two additional USB expansion ports for easy additional storage. The sheer volume of storage potential, as well as fast transfer speeds offered by the My Book Duo means that you and your friends can store even more movies and music, and your entire digital collection! Looks like student moments is taken care of for the next few decades. Now that could even take you until you finish law or med school. SRP are as follows: 4 TB – Php 13,990; 6 TB – Php 16,990; 8 TB – Php 22,990; 12 TB – Php 31,990. As a WD user myself, I know that these devices can very much help teenagers today in their everyday life. I've always believed that information is power, and with WD, information is literally in the palm of your hands.